The last course our group played on our Bandon Dunes trip was actually the first course that was built for the resort and the one that started the whole Bandon Dunes phenomena. 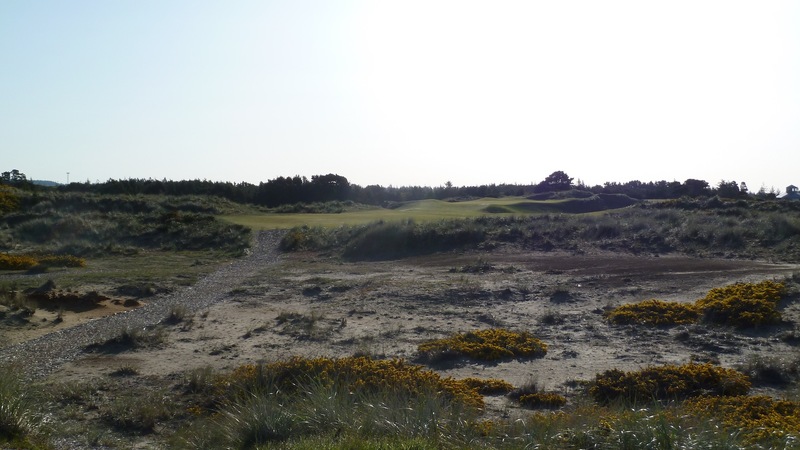 There is a little more detail on the history of the course in my previous post from my visit a few years ago, so I’m not going to go into that here. 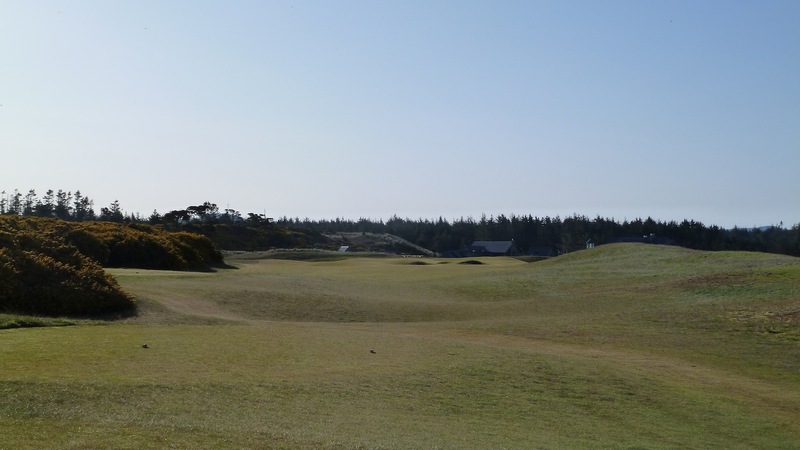 So, on our third day of golf at Bandon Dunes we were finally playing the original course. Not all of the guys in our 12 man group was playing this round so we had an odd number of five guys. We split up into a two-ball and a three-ball and for some reason I don’t exactly remember we put the three-ball out first. I’m not sure why we did that considering that the two-ball consisted of me and the one other guy on the trip who is known to play ridiculously fast. Anyway, with the first two tee times of the morning our groups set out for our rounds with nary a whisper of wind. 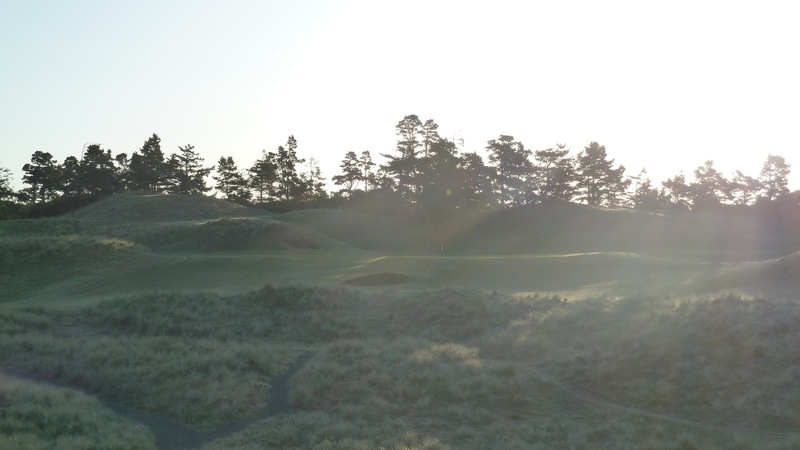 FYI, the mornings at Bandon Dunes are typically the calmest part of the day, so if you are playing a course twice on a trip it’s a good idea to do one round in the morning and one in the afternoon so that you can see the course in different conditions. Below are the photos I took during the round and the yardages are all from the 6,221 green tees. Without the wind we probably should have been playing the 6,732 yard tees, but hindsight is 20/20. 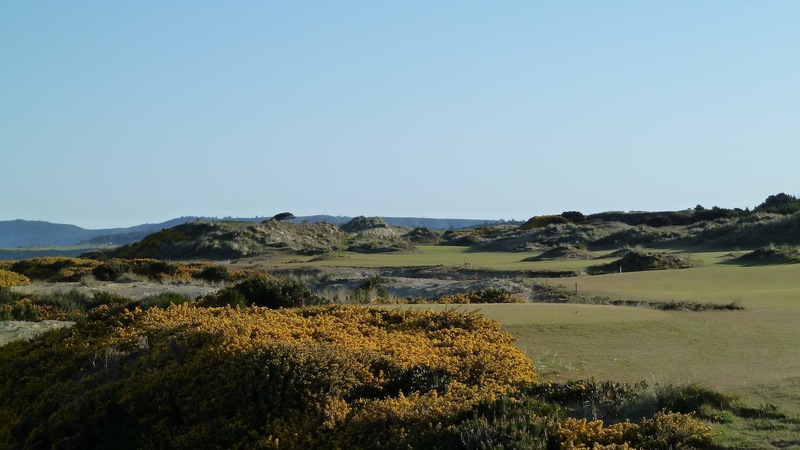 The course starts out with a fairly shot par 4 dogleg right. Be careful of the right side of the hole as it is very possible to lose a ball that is hit too far to the right. Up the left side of the fairway will give a great angle into the green. Here is a look a the approach into the green. 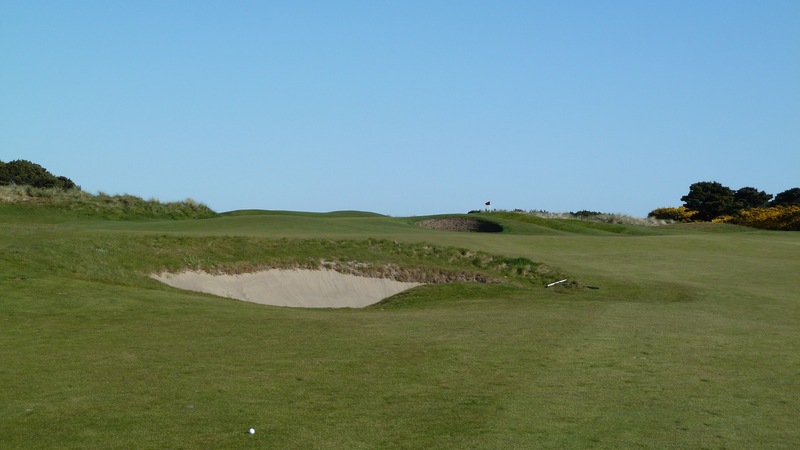 It plays uphill and its a very good idea to avoid the bunker in front on this hole. This picture was taken dead into the sunrise so I apologize for the poor quality of the photo. 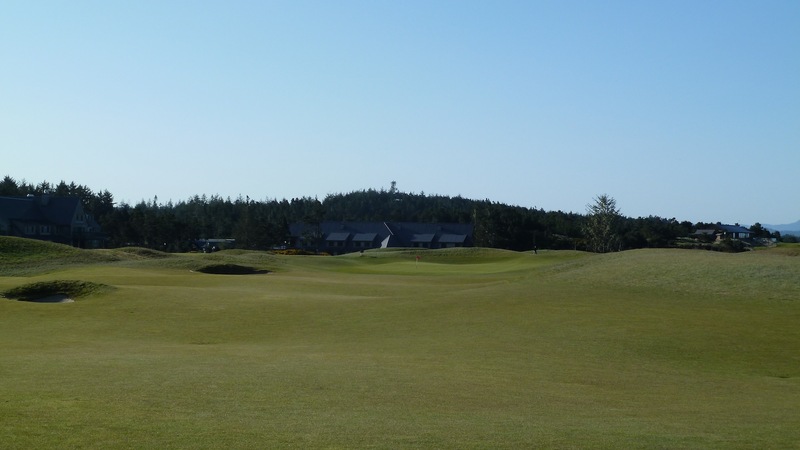 This is a great one shot hole that plays a little longer than the scorecard indicates. It’s not an easy shot. Now we come to a short par 5 that is very reachable with a favorable wind or even no wind at all. The fairway is wide so there is no harm in taking a big swing here. A view of the green from about 100 yards out. 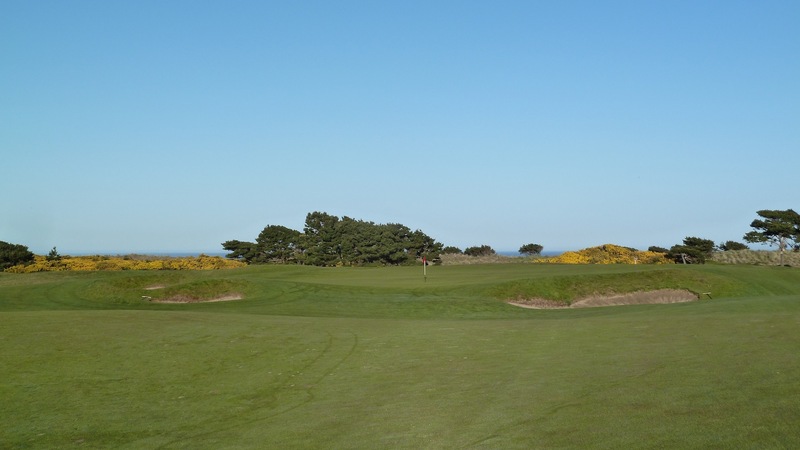 Players attempting to reach this green in two will need to be careful to avoid the bunkers on the left and right sides of the green. 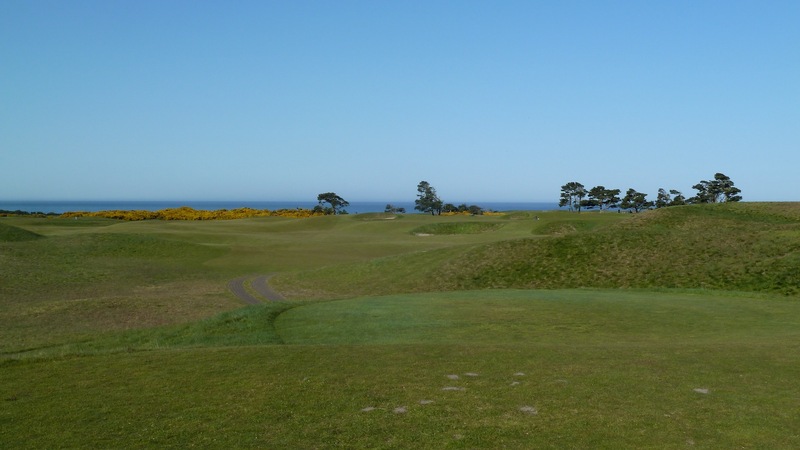 There is only a narrow strip of grass available for shots that come up short. This hole is one of my favorites at the entire resort. 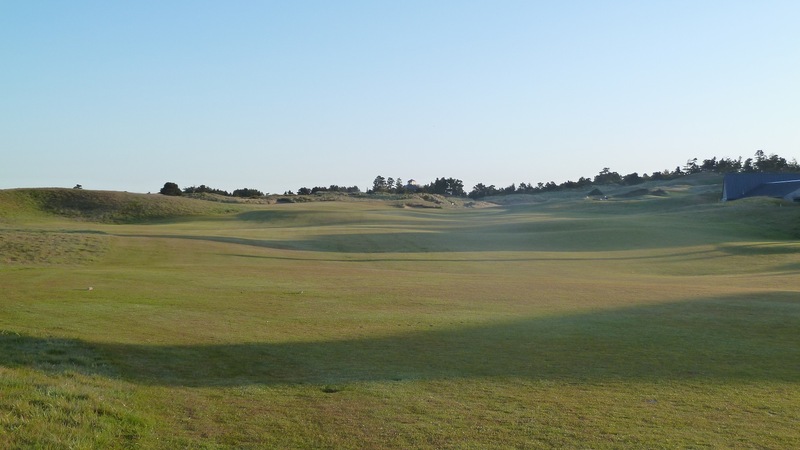 It is a sharp dogleg to the right and driver will most certainly run a lot of players through the fairway so most will be teeing off with their 200-220 yard club. 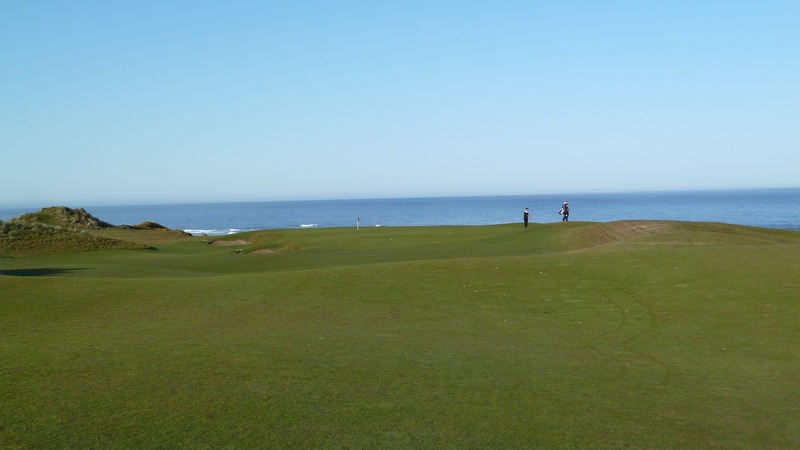 Once players reach the corner of the dogleg they are greeted with the first ocean view of the round. It’s a bit of a surprise and it’s absolutely spectacular. 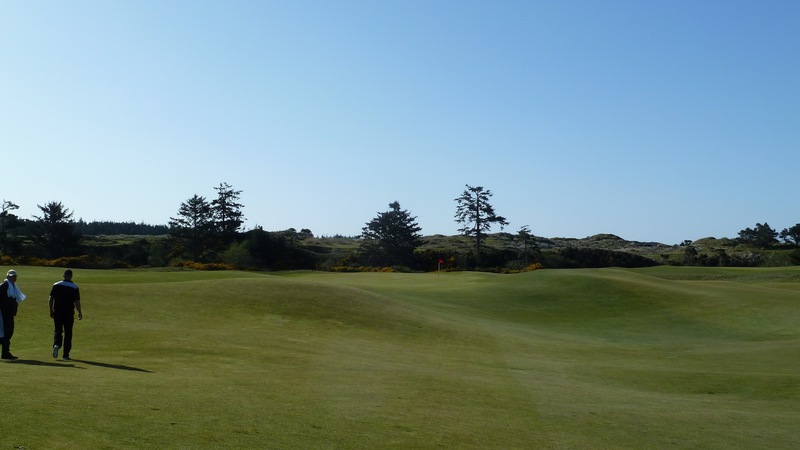 The 5th is quite possibly one of the most photographed holes at Bandon Dunes Golf Resort. 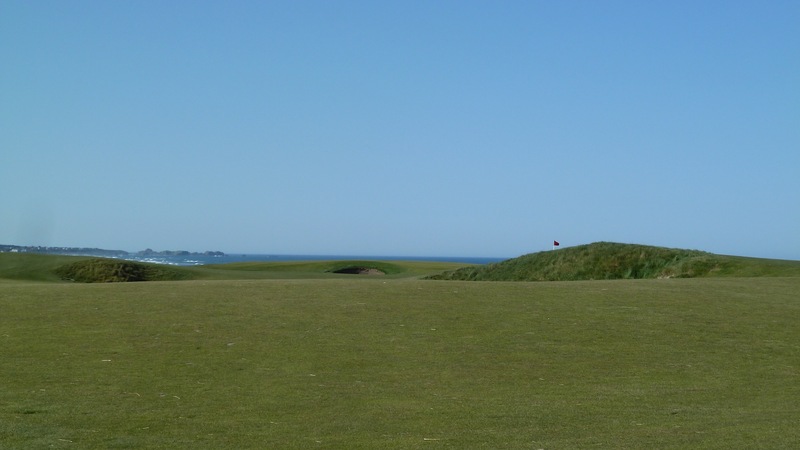 This long par 4 looks other-worldly from the tee. 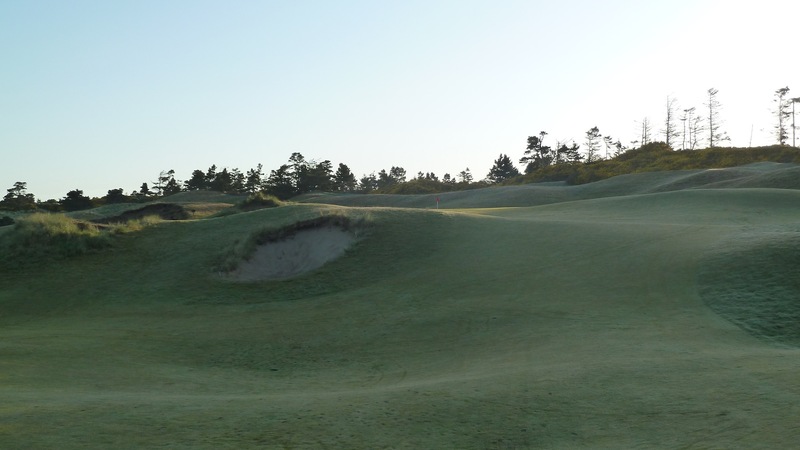 With the mounds in the fairway and the dunes along the sides of the fairway there is not much else like this in America. Here is a look from the green back at the hole. We finally played through the guys in front of us on this hole so I didn’t get any photos of the mounds in the middle of the fairway which is disappointing. However, now that we were through them and had open field running in front of us we could really fly around the rest of the course! More dramatic water views at this wonderful one shot hole. Plenty of room to miss short and to the right. This green is also very receptive to a low running shot. Again the photo was taken into the sun so it’s not the greatest quality. The left side of the fairway is preferred here. A view of the approach shot into the green. 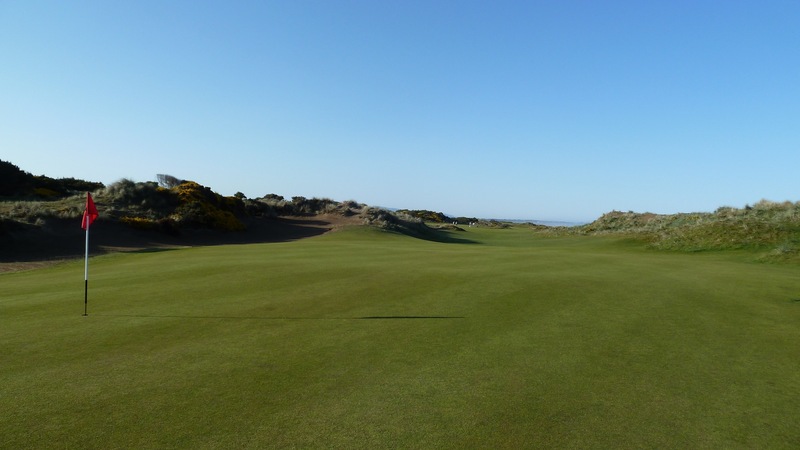 This can be a really tricky green to putt, so be careful and remember that there’s nothing wrong with a two-putt. 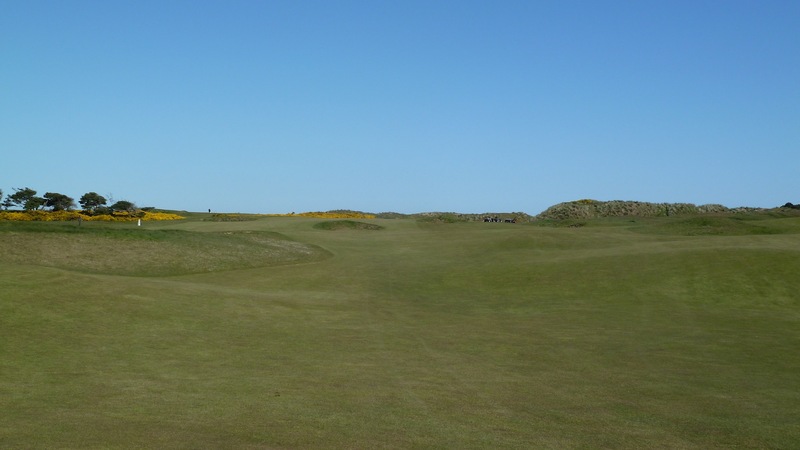 This shortish par 4 is not one to be underestimated. With a collection of fairway bunkers out there it’s important to choose the driving line very carefully here. A look at the green. Note the hump at the left side of the photo below. I thought this was an interesting feature that can help or hurt bump and run shots coming into the green. 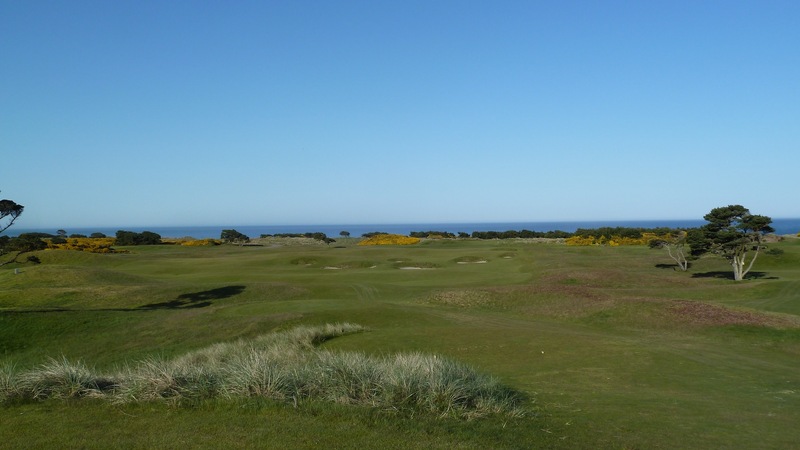 The front closes out with a healthy par 5 that will be reachable in two for longer hitters or when there is a favorable wind. 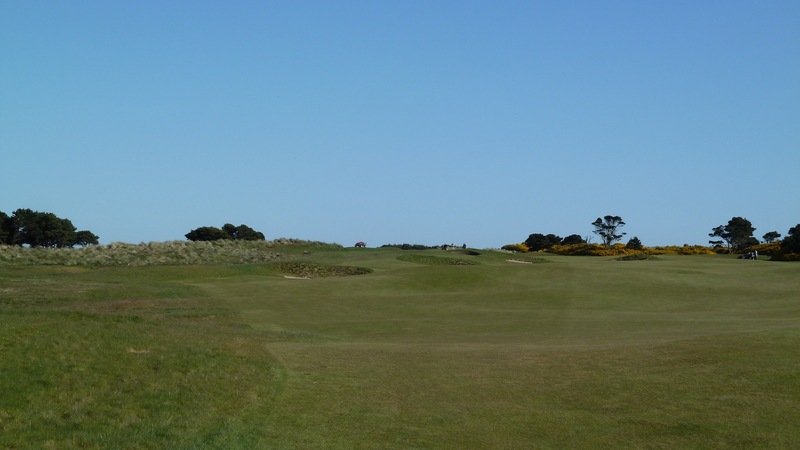 There are bunkers in the middle of the fairway that are in play off the tee so be careful choosing a line for the drive. A look into the very receptive green. Shots that come up short have a very good chance of rolling onto the green. 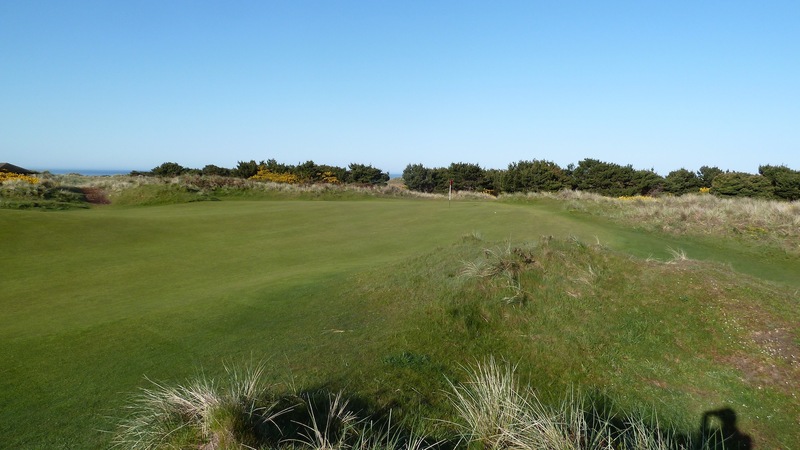 This short par 4 is a tricky tee shot because the green is not visible from the tee. A caddie certainly is helpful here. The green is located just in front of the row of trees on the right side of the photo below. Hitting a driver off the tee here can leave just a short wedge shot to the green. A hybrid is a much more conservative play. Here is a look at the second shot after hitting driver. And a look from the top of the hill in front of the green. 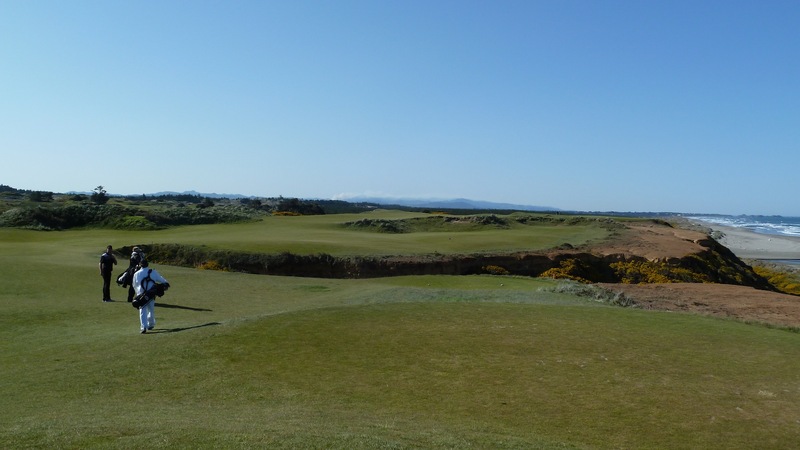 This is a shortish par 4 with bunkers in play off the tee. The sod wall bunker that is in front of the green can be particularly difficult so from this angle a miss short can lead to disaster. This was the very first hole built on the property so I guess you could say that it all started here. When the wind blows this can play very long. Here is a look from the left side of the green. Note the tricky little pot bunker. Is this a mogul field or a fairway? 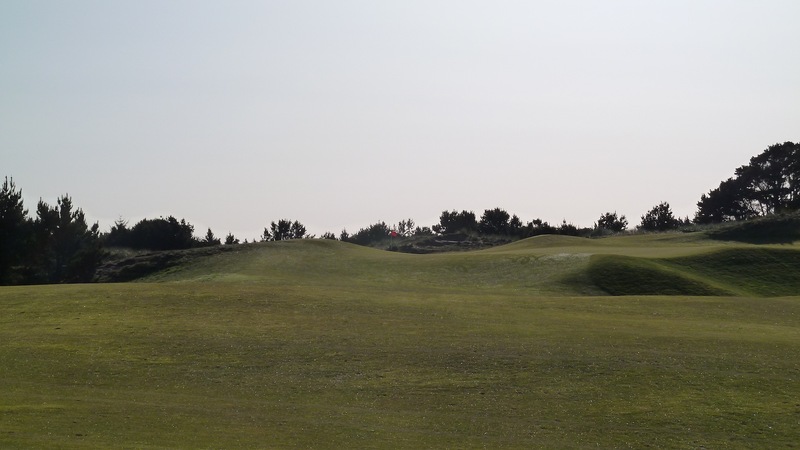 This hole can be reachable in two for many players when there is a favorable wind, but being able to hit the necessary shot will require drawing a good lie and not one too uphill, downhill or side hill. There is a good possibility that the second shot will be blind as well. Here is a look into the green from the left side of the fairway. Note that the green in play is the one on the left and and the one on the right which is for a different hole. And a little closer look at the green. The mounds around the green will affect shots that are coming in low and running. I really liked this hole quite a bit. 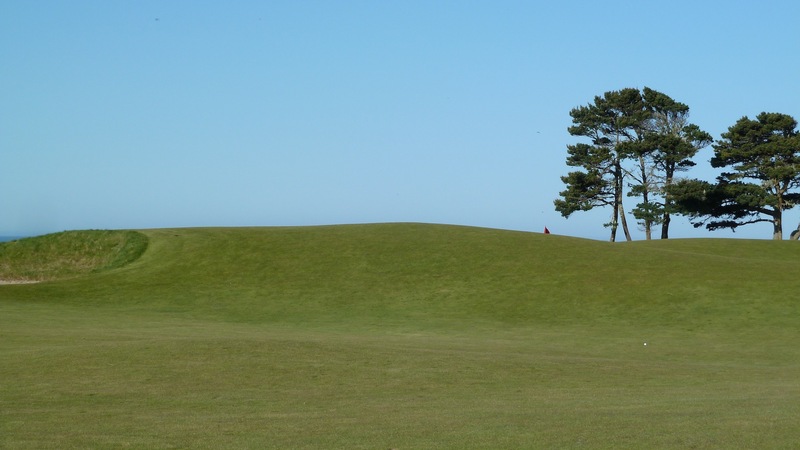 The green is located just in front of the large grassy mound on the right side of the photo. The best plan of attack for most is to hit a drive up to the plateau on the left and approach the green from that angle. A view of the approach from left side of the hole. The final one shot hole on the course is another one with a dramatic water view. 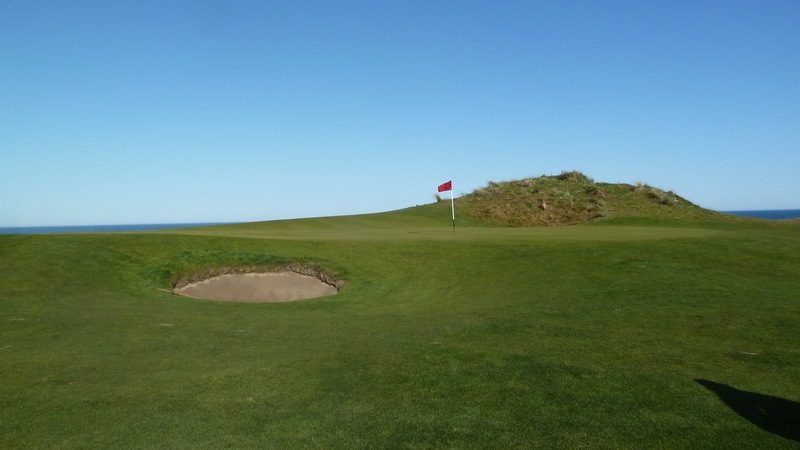 It’s short, but when the wind blows directly off the sea this hole will play much longer. 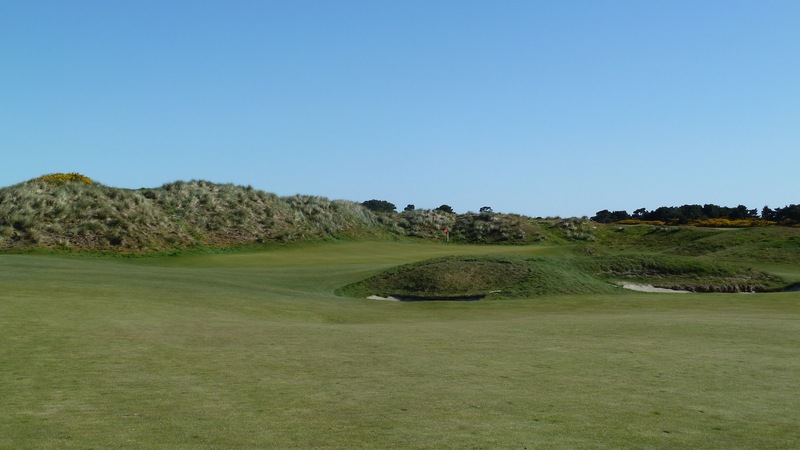 The 16th is another one of the iconic holes at Bandon Dunes that is often photographed. 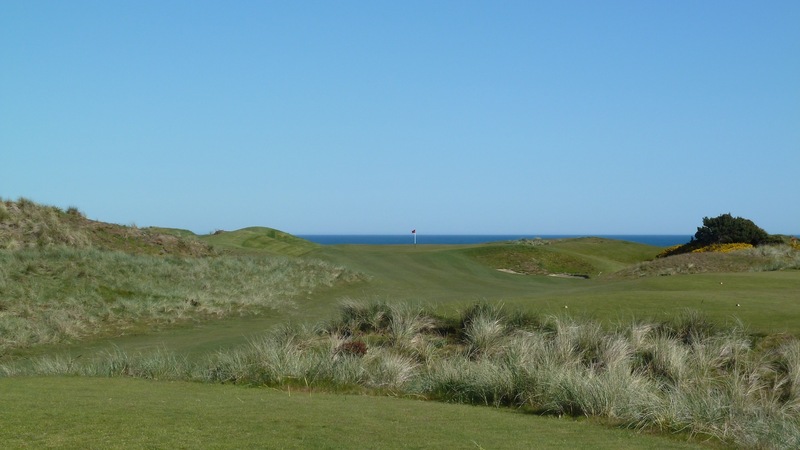 When the wind is helping some players will try to drive the green, but it hardly seems worth it with the possibility of going right and over the cliff. A 200-220 yard shot out to the left of the green is all that is necessary here. A view of the approach shot. 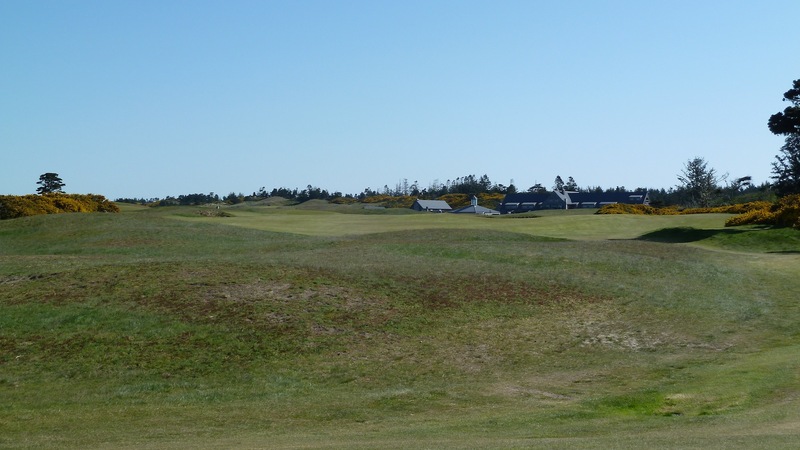 Here we have a longish par 4 with fairway bunkers in play off the tee and a hazard to the right. It’s a bit of a tight landing zone on this hole. 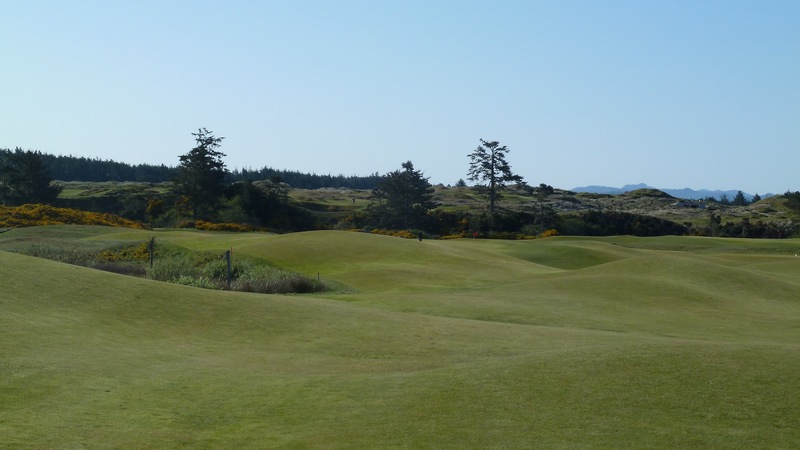 The left side of the fairway leaves the best angle into the green. 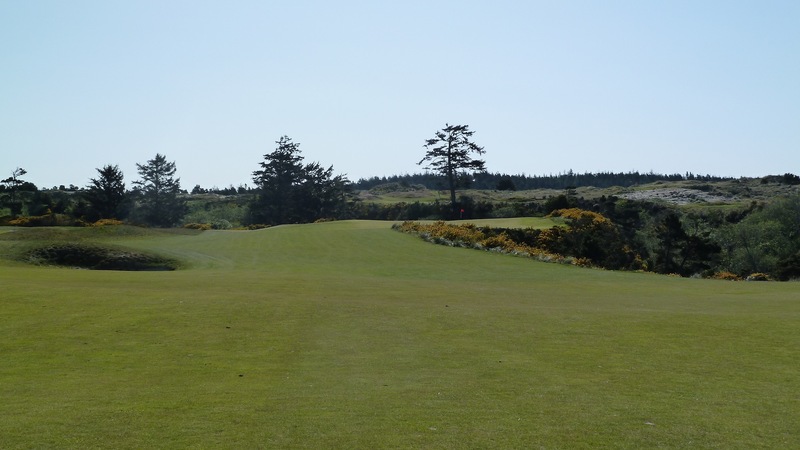 From the right side of the fairway the approach shot requires hitting over the gorse filled ravine which is a much less forgiving shot than from the left side of the fairway. 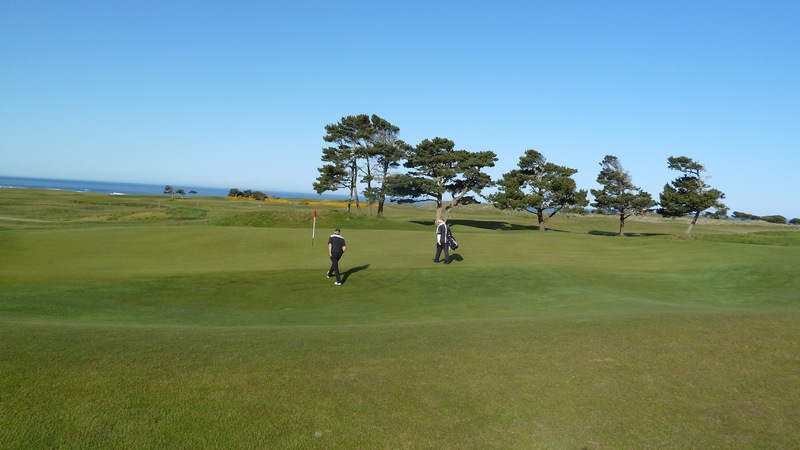 Here players get one last shot at glory with an excellent birdie opportunity. The left side of the fairway is the preferred location for the drive on this hole. A look at the third shot into the green. As we putted out and were walking off the green we noticed someone coming directly over to us which seemed a little odd. I thought we might be about to get in trouble for nipping at the heels of the grounds crew on the back nine, but fortunately it was quite the opposite. 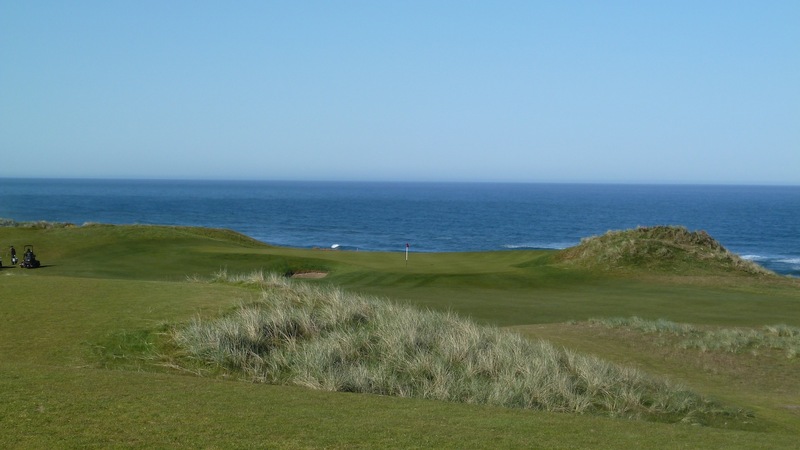 It turned out to be the course superintendent who said he appreciates a swiftly played round of golf and handed each of us a Bandon Dunes flag as a reward for playing in less than three hours. Pretty cool! 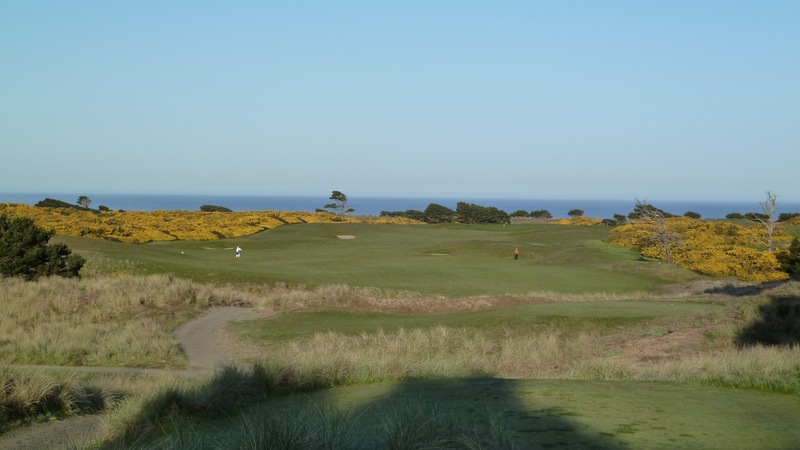 I really loved Bandon Dunes, but for me it ranks 4th in the courses at the resort. To keep that in perspective that’s like being the 4th coolest Beatle or the 4th best looking Victoria’s Secret model . . . basically what I’m saying is that it’s still rarefied air. 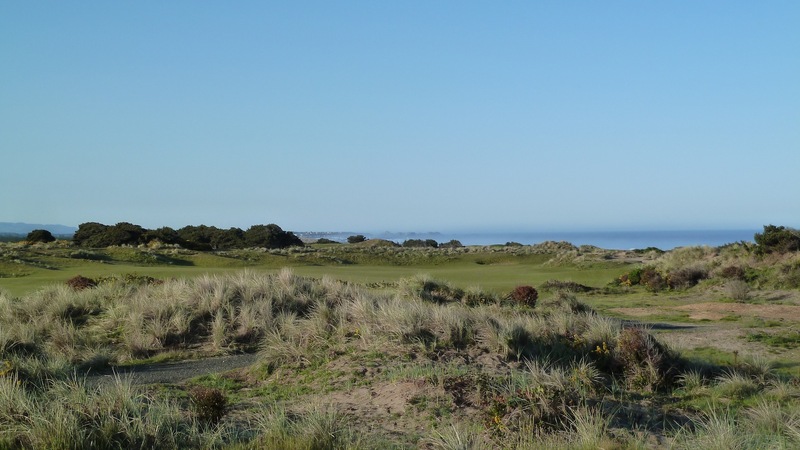 One thing that surprised me about Bandon Dunes is the routing. 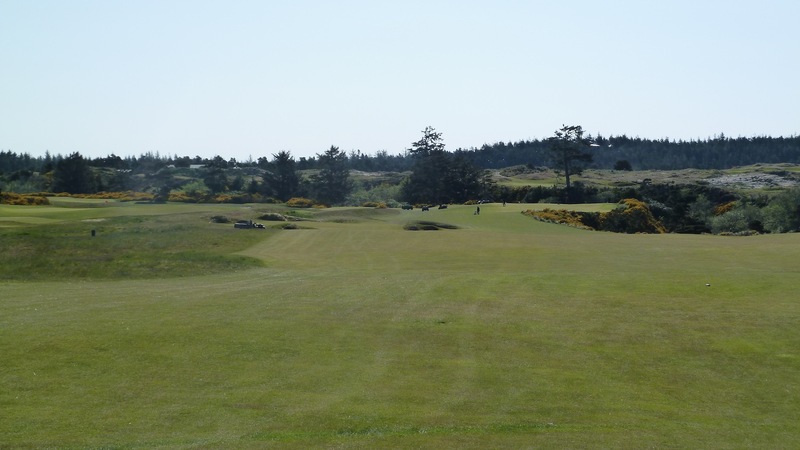 The courses at Bandon Dunes Golf Resort are obviously all great walking courses, but Bandon Dunes is the only one that has some strange parts in the routing which results in some green to tee walks that are longer than many of the others at the course. It’s not a bad thing, I just found it a little surprising considering that it was the first course built on the property and they had a lot of land to work with. 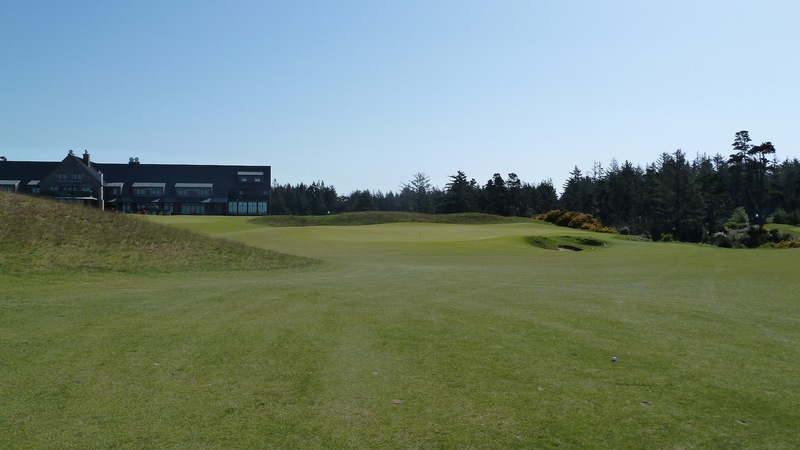 I was sad to go home from Bandon Dunes Golf Resort. Over the course of four and a half days we played nine rounds of golf and had an absolute blast. 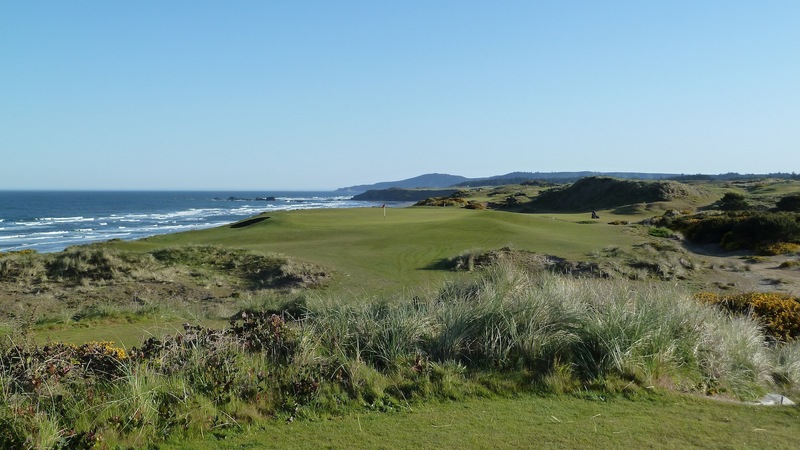 All four courses are world class and there is no question in my mind that Bandon Dunes is my favorite golf resort in America. 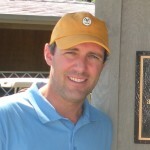 I just don’t think the quality of golf, pace of play and value can be beaten. 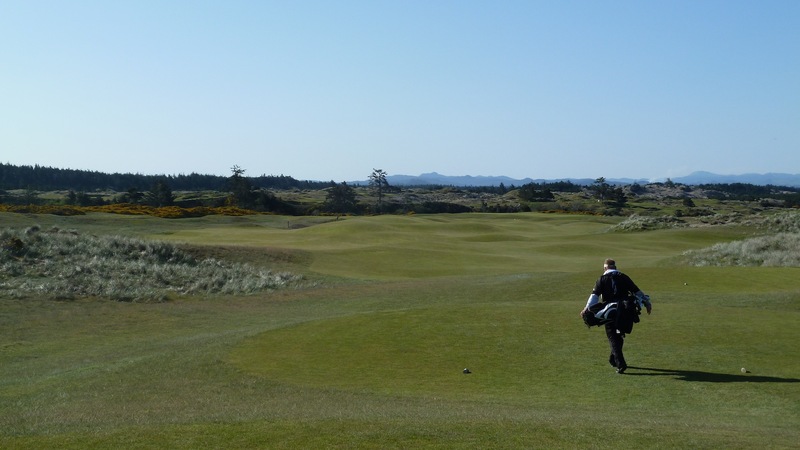 Every golfer should make this trip at least once in their life.